Clearance: Only 1 in stock. First come, first served. Clearance Deal: Only 8 in stock. First Come, First Served. Black finish 440 stainless blade with dual thumb studs. Blade is etched America’s Heroes. 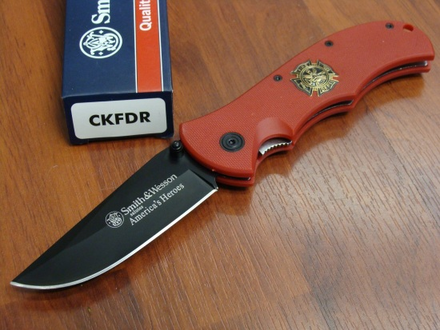 Red G-10 handles with F-D shield.